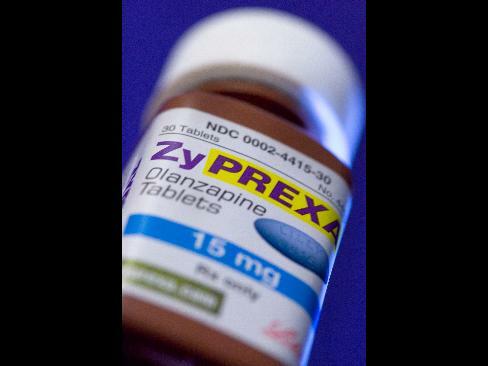 June 12 (Bloomberg) -- Eli Lilly & Co. officials wrote medical journal studies about the antipsychotic Zyprexa and then asked doctors to put their names on the articles, a practice called “ghostwriting,” according to unsealed company files. Lilly employees also compiled a guide to hiring scientists to write favorable articles, complained to journal editors when publication was delayed and submitted rejected articles to other outlets, according to documents filed in drug-overpricing suits against the Indianapolis-based company, the largest manufacturer of psychiatric medicines. Drugmakers’ use of ghostwriters has created “a huge body of medical literature that society can’t trust,” said Carl Elliott, a University of Minnesota bioethicist who has written about the practice. Lilly sought to make Zyprexa “the number one selling psychotropic in history,” according to a 2000 plan distributed to its product team. The memo was among more than 10,000 pages of internal documents unsealed last month in lawsuits by insurers and pension funds seeking to recoup money spent on the drug. They allege Lilly exaggerated Zyprexa’s effectiveness. The U.S. Food and Drug Administration doesn’t have a guidance document or regulations specific to ghostwriting, said Karen Riley, an agency spokeswoman. Lemons declined to answer specific questions about ghostwriting. There is no evidence in the unsealed documents that doctors were paid to sign off on the ghostwritten items. Lilly isn’t the only drugmaker to use ghostwriters to win favorable play in medical journals. Merck & Co. and Pfizer Inc. also have faced claims they used ghostwriters as part of their marketing plans. In May 2008, Whitehouse Station, New Jersey-based Merck agreed to pay $58 million to 29 states and to stop ghostwriting articles to resolve claims that its advertisements for the withdrawn painkiller Vioxx hid the drug’s health risks. Employees at Merck worked alone or with publishing firms to write manuscripts on Vioxx that were published under the names of academic medical experts, according to an analysis published in the Journal of the American Medical Association in April 2008. Merck pulled Vioxx from the market in 2004. Pfizer paid $60 million to 33 states in October to settle claims it improperly marketed its Bextra and Celebrex pain relievers. New York-based Pfizer agreed to halt off-label marketing of the medicines and stop ghostwriting about them. It withdrew Bextra in April 2005. Celebrex is still on the market. In 1996, Wyeth hired Excerpta Medica Inc., a New Jersey- based medical communications firm, to write 10 articles promoting drugs aimed at treating obesity, Elliott wrote in “Ghost Marketing: Pharmaceutical Companies and Ghostwritten Journal Articles,” published in 2007 in the journal Perspectives in Biology and Medicine. Wyeth, which at the time was touting its fen-phen diet combination for weight loss, agreed to pay Excerpta $20,000 per article, according to Elliott. “Wyeth kept each article under tight control, scrubbing drafts of any material that could damage sales,” he wrote. Pfizer is acquiring Madison, New Jersey-based Wyeth for $68 billion in cash and stock. Doug Petkus, a spokesman for Wyeth, declined to immediately comment. Antipsychotics have become the U.S.’s best-selling class of drugs, with 2008 sales of $14.6 billion, according to IMS Health, a health-care consulting firm. The insurers suing Lilly contend it should pay as much as $6.8 billion in damages for downplaying Zyprexa’s health risks and marketing the drug for unapproved uses to increase profits. The antipsychotic is Lilly’s top-selling drug, with $4.7 billion in sales last year, accounting for almost a quarter of the company’s revenue. Lilly officials said in 2002 they sought to boost Zyprexa sales to $6 billion within four years, according to a document unsealed in the insurers’ case. Bloomberg News obtained the documents after U.S. District Judge Jack Weinstein in Brooklyn, New York, made them public on May 1. In September, Weinstein allowed insurers and other payers to sue Lilly as a group after finding “sufficient evidence of fraud” to let the case go to trial. Lilly appealed that ruling. Lilly agreed in January to pay $1.42 billion to the U.S. government and more than 30 states to settle off-label marketing allegations over Zyprexa. The agreement included a $615 million penalty for a federal criminal charge of illegally marketing the drug to elderly patients for off-label uses. The company also faces suits from 12 states over its Zyprexa marketing practices. Cases brought by South Carolina and Connecticut officials are set for trial later this year. The unsealed documents support the claims of the insurers suing Lilly, said Sobol, of Seattle-based Hagens Berman Sobol Shapiro LLP. His firm provided Bloomberg News with copies of the internal papers. Bloomberg News filed a letter brief asking the court to unseal the documents. Ensuring that medical journal articles presented Zyprexa study results in a positive light was one way for Lilly to reach its sales goal, company officials said in its plan, according to the documents. To do that, Lilly officials hired ghostwriters to prepare submissions to journals such as Progress in Neurology and Psychiatry, according to the unsealed documents. “The paper for the Progress in Neurology and Psychiatry supplement has been completed and sent to the journal for peer review,” Kerrie Mitchell, an employee of the public relations agency Cohn & Wolfe, wrote in a Feb. 23, 2001, e-mail to Michael Sale, a Lilly marketing official. The message was among the unsealed files. “We ‘ghost’ wrote this article and then worked with author Dr. Haddad to work up the final copy,” Mitchell said in the e- mail. Eric Litchfield, a spokesman for Cohn & Wolfe, didn’t immediately return a call seeking comment. Peter Haddad, a researcher at Greater Manchester West Mental Health NHS Foundation Trust in the U.K., was listed as the article’s lead author. Haddad didn’t respond to requests for comment. The global Lilly team approved a draft of Haddad’s ghost- written paper in 2000, according to the unsealed documents. Lilly’s U.K. team had to give final approval to the article because Progress in Neurology and Psychiatry was based there, Mitchell said in the February 2001 e-mail. To ensure that ghostwritten Zyprexa articles met Lilly’s standards, company officials issued a guide to preparing them, according to the unsealed files. The guide, “Medical Press: Pre-Launch Feature Outline,” was undated. It’s unclear from the documents which teams in Lilly’s top 10 markets for the drug received it. The primer provided a how-to for writing articles, such as instructing the author to use Zyprexa’s generic name, olanzapine, instead of its brand moniker, according to the documents. Scientists in medical research traditionally refer to a drug’s chemical name. The guide also offered tips on how to find authors by identifying a “key opinion leader” and providing them either an outline of the article or a finished copy. Authors could include a study investigator, an advisory board member or “Lilly-friendly” doctor, according to the documents. A sample article laid out how a Lilly employee may find a doctor to ghostwrite a submission that would “prepare the market” for the launch of an intramuscular injectable version of the drug. It also offered an outline for the contents of the article, beginning with background on another drug, droperidol, which had been withdrawn from several countries. The article, with the suggested title “Filling the Droperidol Gap,” noted that an anti-anxiety drug could be used, before going on to say, “more advanced IM treatments may soon be available to provide a superior alternative.” The article explained that injectable Zyprexa had just received approval from the FDA, and recounted its clinical trial history. “The anticipated forthcoming availability of atypical antipsychotics in an IM formulation could be a major step forward in the treatment of acute agitation associated with schizophrenia,” the sample article concluded. Lilly officials e-mailed journal editors to complain about delays in publishing favorable Zyprexa articles, according to the unsealed documents. In one instance, Lilly employees contacted the Journal of Clinical Epidemiology about delays of an article criticizing a previously published piece linking Zyprexa, as well as the class of atypical antipsychotics, to diabetes. Knottnerus was referring to the manuscript’s lead author, John Buse, a former president of the American Diabetes Association. A copy of the Nov. 22, 2002, e-mail was included in the unsealed documents. It isn’t clear from the e-mail chain whether the e-mail was sent by Buse or Cavazzoni. On Jan. 22, 2003, Buse e-mailed Cavazzoni to say he hadn’t heard anything and to request Knottnerus’s telephone number, according to the documents. The Zyprexa article by Buse and Cavazzoni was a review of another submission that had previously appeared in the journal, according to the documents. That article summarized previous medical literature on atypical antipsychotics, and found Zyprexa had an increased risk of causing diabetes relative to the class. Buse, a professor of medicine at the University of North Carolina, Chapel Hill, e-mailed his comments on the article to Cavazzoni for her review on Jan. 26, 2003. Buse indicated in the e-mail that he was worried he had been “unduly harsh” in his review of the earlier piece. He told Cavazzoni: “If you think I should tone it down, suggest a way,” according to the unsealed documents. There was no response to the e-mail in the documents. “I don’t remember anybody at Lilly ever approaching me for ghostwriting,” Buse said in a phone interview. Throughout his career, others had offered to put his name on papers, and he declined, Buse said. He said he couldn’t recall the names of anyone involved. Buse said in a Nov. 28, 2006, deposition that working with drugmakers over a long period of time can change the way doctors think about clinical problems. “It’s sort of like Stockholm Syndrome,” Buse said in the deposition, referring to a psychological phenomenon in which kidnap victims begin to sympathize with their captors. Buse added that many researchers develop emotional attachments to drugs they’ve discovered or studied extensively. Lilly rose 47 cents, or 1.4 percent, to $34.38 in New York Stock Exchange composite trading yesterday. The shares have fallen 15 percent this year. The case is UFCW Local 1776 and Participating Employers Health and Welfare Fund v. Eli Lilly & Co., 05-04115, U.S. District Court, Eastern District of New York (Brooklyn). To contact the reporters on this story: Elizabeth Lopatto in New York at elopatto@bloomberg.net; Margaret Cronin Fisk in Detroit at mcfisk@bloomberg.net; Jef Feeley in Wilmington, Delaware, at jfeeley@bloomberg.net.